In this paper we derive score tests for spatial independence in mortality or incidence risk in the framework of hierarchical spatial models where different Gaussian Markov random field (MRF) priors are given for modelling the area random effects (specifically, two non-intrinsic Gaussian priors and a convolution Gaussian prior). 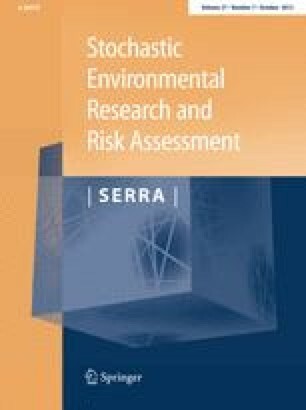 The techniques used to test the practically relevant and important simplifying hypotheses of an absence of spatial variation in risk will provide a guidance for practitioners to select an adequate model (i.e., a model with an exchangeable-independent-prior, an intrinsic prior, a convolution prior or a non-intrinsic prior, for the area-specific random effects distribution). The proposed methodology is illustrated by analyzing the well-known data set of lip cancer in Scotland and female mortality due to cerebrovascular disease in Navarra, Spain. The authors would like to thank the Non-transmissible Diseases and Vital Statistics Section of the Institute of Public Health in Navarra for providing the data. The work has been supported by the Health Department of the Government of Navarra (project Res. 1878/2001) and the Spanish Ministry of Science and Technology (project AGL2000-0978).